The outstanding company producing watches for men and women named 'Daniel Roth' began its existence in 1989 in the town called Vallee de Joux in Switzerland – the country where every popular and genius watchmaker started his enterprise. Although at the beginning, it was no more than a regular Swiss company producing timepieces, it soon evolved into the world-famous brand with its own vision, style, and a remarkable look. 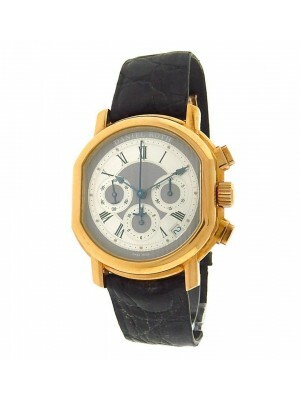 The firm was headed by the man who is worth to be ranked one of the most talented watchmakers of the world. His name is Daniel Roth, and he has been looking forward to the company’s recognition since the very beginning of his business and despite many hard years of the severe competition. After fifteen years since launching his first collection, Roth became one of the greatest watchmakers of the contemporary time. Although there are many other masters creating upgraded models with different new features and a wonderful design, they cannot compete with Roth in dedication and love for the watchmaking art. Due to the original shape of its timepieces, the brand is currently at the forefront of the watch manufacturing. Customers and rivals are astonished not only by high-quality mechanisms applied by craftsmen creating wonderful Daniel Roth watches but also by their shapes. The unique form is a distinguishing feature of every Daniel Roth product that continues to surprise the most devoted connoisseurs of the watchmaking art. The famous master has been working on the concept of a unique shape for about two years, but this time was spent for the benefit because he eventually developed something unusual that distinguished his brand from many others. All efforts and sleepless nights of the skillful watchman were not in vain because now, this feature attracts attention of numerous collectors from different countries and makes them buy either new or pre-owned luxury watches of the famous brand. Most of Daniel Roth products is marked with “Genève’s stamp of the high-end quality.” This rank is given to timepieces produced in Geneva where the small factory of Daniel Roth is situated, and it proves that these products have been created in line with the most demanding standards and requirements. In 2000, the brand was purchased by the famous Bulgari group that invested much money into the development and further technical upgrading of the company’s products. Nowadays, the firm has a great opportunity to produce its own watch mechanisms. Two multifunctional machines create numerous little components for watch mechanisms made of only high-quality materials. This equipment for manufacturing exclusive details is situated in Le Sentier, the second workshop of the famous brand. Nowadays, the experts of the Daniel Roth watchmaking house work for Gerald Genta and Bulgari companies as well. Despite the fact that the founder of the company and one of the most genius persons ever left his watchmaking business for some reasons, the Daniel Roth brand keeps following the traditions of the world-famous firm. The brand gained its popularity due to its sophisticated timepieces and one-of-a-kind design. Masterpieces of the firm conquered the hearts of many wealthy people. 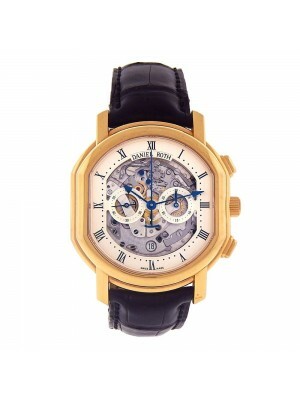 So, don’t miss the opportunity to join the club of elegant and successful individuals by wearing Daniel Roth watches.